You’ve found the home you want at a price you can afford and it looks like it is in great condition. Always keep in the mind that, especially when it’s for sale by the owner, the home has been “dressed up” to emphasize its best features and minimize any potential problems. Before you close on the purchase of a home, or even before you make an offer, you should insist on an independent home inspection by an experienced professional home inspector. Many sellers have had inspectors and appraisers look at the home prior to listing it for sale, as they understand that buyers will likely ask for another inspection independent of their own. If you arrange to have an inspection by a licensed Tennessee home inspector before the sale closes, any problem that is discovered is still the responsibility of the seller. If you choose not to have an inspection completed, the problem, unfortunately, becomes yours. The number of home inspections performed increases each year, with more than 90 percent of home sales involving a house inspection, according to the American Society of Home Inspectors (ASHI). While this number doesn’t differentiate between a seller-based inspection or a buyer-based inspection, it certainly indicates the significance of home inspections in the buying process. According to home inspectors, homes are sometimes not particularly well cared for by homeowners, who are slow to fix leaky faucets, replace heating or A/C filters, or clunky furnaces. If homes with homeowners living on the property can be uncared for, imagine what conditions a foreclosed or rental property can hide. Mold can grow if the water hasn’t been turned off and the environment becomes moist. If the home is boarded up and there is no ventilation for weeks or months, black mold can grow fairly quickly. You should make the purchase of the home contingent on your approval of a home inspector’s report. When making a written offer for the home, simply make it a condition of the purchase. If your home inspection comes back clean, you can proceed with the purchase with confidence. And if the report is negative, you can reduce your offer, make the seller pay for any repairs, or even back out of the contract altogether. 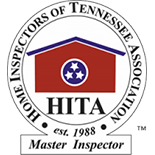 Contact Safety 1st Home Inspection in Knoxville for help.